The K-1 Fiance (e) Visa allows a U.S Citizens only (not Legal Permanent Residents) to apply for permission with a U.S Consulate abroad to allow his or her Fiance (e) to enter the U.S with a Fiance(e) visa. The U.S Consulate abroad will only review this application after there has been an approved petition by the USCIS which must be applied inside the United States by the US Citizen on behalf of his or her fiance(e). The marriage must take place within 90 days of the fiance(e) entering the United States. If the marriage does not take place within 90 days or the fiance(e) marries someone other than the U.S. citizen filing USCIS Petition for Alien Fiance, the fiance(e) will be required to leave the United States. Until the marriage takes place, the fiance(e) is considered a nonimmigrant. A nonimmigrant is a foreign national seeking to temporarily enter the United States for a specific purpose. A fiance(e) may not obtain an extension of the 90-day original nonimmigrant admission. If the fiance(e) intends to live and work permanently in the United States, the fiance(e) should apply to become a permanent resident after the marriage. (If the fiance(e) does not intend to become a permanent resident after the marriage, the fiance(e)/new spouse must leave the country within the 90-day original nonimmigrant admission. The fiance(e) may enter the United States only one time with a fiance(e) visa. If the fiance(e) leaves the country before married, the fiance(e) may not be allowed back into the United States without a new visa. U.S. citizens who will be getting married to a foreign national in the United States may petition for a fiance(e) classification (K-1) for their fiance(e). You and the fiance(e) must be free to marry. This means that both of you are unmarried, or that any previous marriages have ended through divorce, annulment or death. You must also have met with the fiance(e) in person within the last two years before filing for the fiance(e) visa. This requirement can be waived only if meeting the fiance(e) in person would violate long-established customs, or if meeting the fiance(e) would create extreme hardship for you. You and the fiance(e) must marry within 90 days of the fiance(e) entering the United States. You may also apply to bring the fiance(e)’s unmarried children, who are under age 21, to the United States. After arriving in the United States, the fiance(e) will be eligible to apply for a work permit. Once inside the United States, the Fiance and the U.S Citizen have 90 days to marry. Once married, the now spouse of a U.S Citizen (and children if applicable) may be eligible for three immigration Service benefits. These include: 1. work permit, 2. travel permission and 3. Green Card. The work and travel permits generally take from 60 to 90 days, while the green card can take from 6 to 12 months on average. Upon verification of a valid and legitimate marriage, the USCIS will issue the spouse a Conditional green card that will be valid for two years. 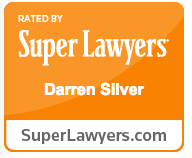 At the Law Office of Darren Silver & Associates, LLP we can explain all the opportunities and requirements associated with obtaining an K-1 Fiance Visa. We are here to help you through the entire procedure. 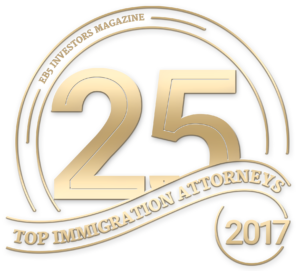 For an initial consultation with our immigration lawyer, contact our law office today or call at 1-800-971-7013 (Toll Free).